Meet You at The Green? 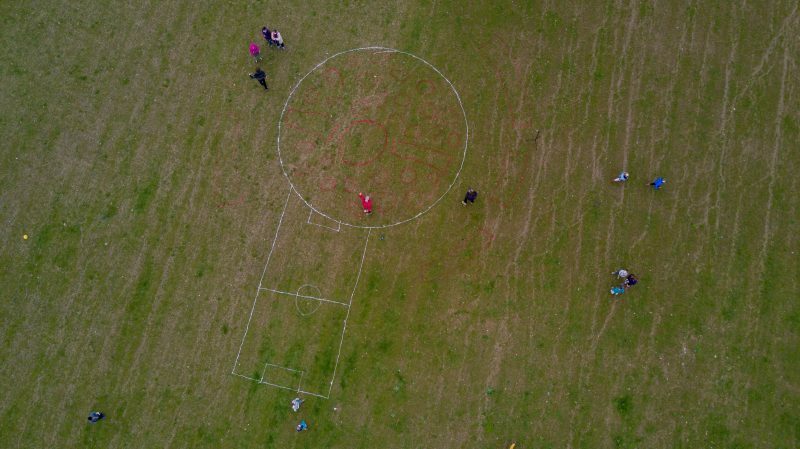 was a year-long project led by Trasna Productions and Workhouse Union focusing on participatory spatial practice. 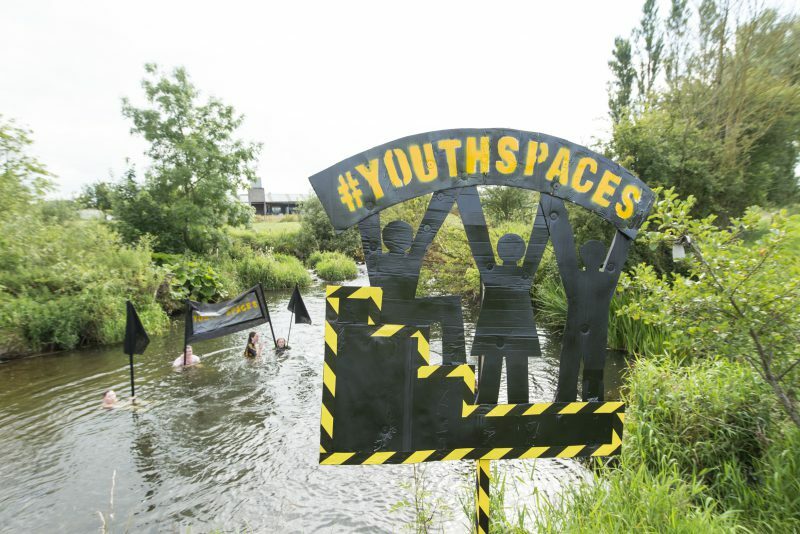 The project asked the question ‘How do we inhabit our small towns?’ Exploring our common landscape and built environment the project aimed to highlight the resources and opportunities available to people to gather and activate our town centres. Visual artist Michelle Browne, choreographer Ríonach Ní Néill, sound artist Ed Devane, Spanish architectural collective Todo Por La Praxis, Berlin-based designer Dan Dorocic and visual artist Jennie Moran explored participatory spatial strategies through performance, movement and sound and design. 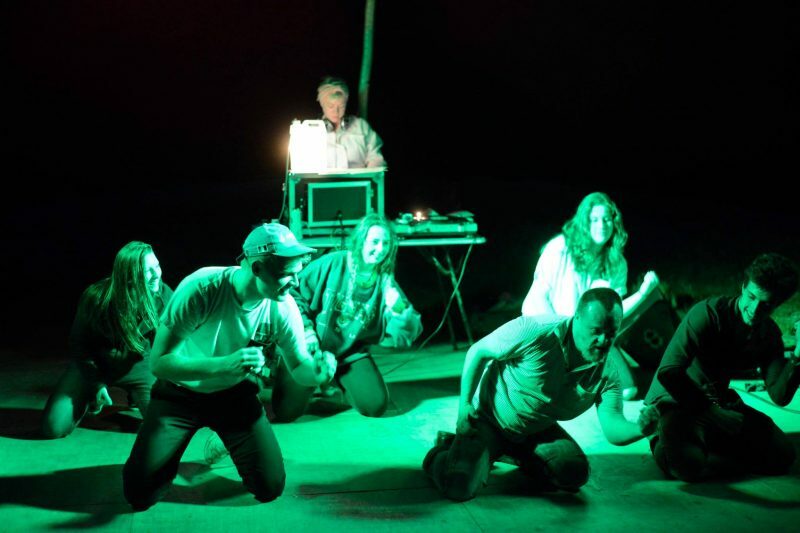 The outcomes of the project developed under three titles/themes: Town Traits, Public Sound and Park Life. Town Traits, Michelle Browne: A census records data about a people. A census doesn’t often tell us how we inhabit our towns or what we do for fun. 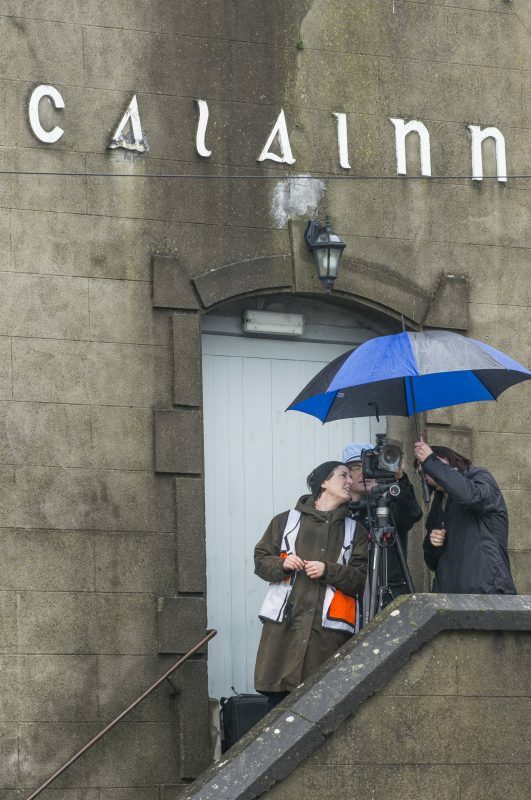 Town Traits: Alternative Census is a photographic portrait of the town – a picture of the hidden stories and some of the often invisible social networks that exist in the town of Callan. 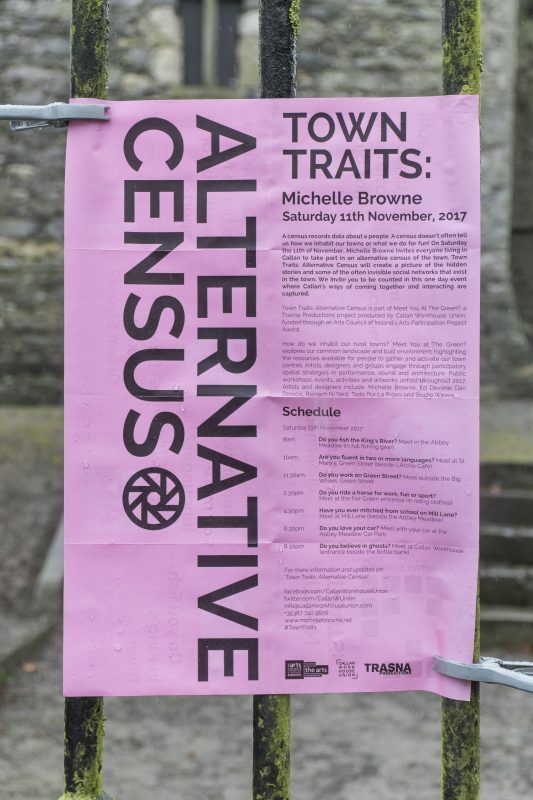 Through a public call, people were invited by artist Michelle Browne to be counted on one day (11 November 2017) through a series of group portraits by Ros Kavanagh that have been printed as eight postcards. 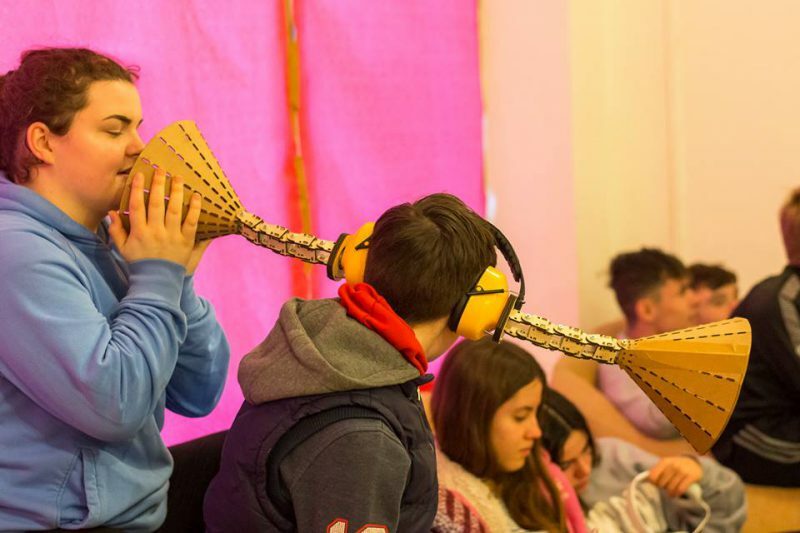 Public Sound, Todo Por La Praxis, Ed Devane: Public Sound developed through a series of youth-led architecture and sound workshops led by Spanish architectural collective Todo Por La Praxis and sound designer Ed Devane. 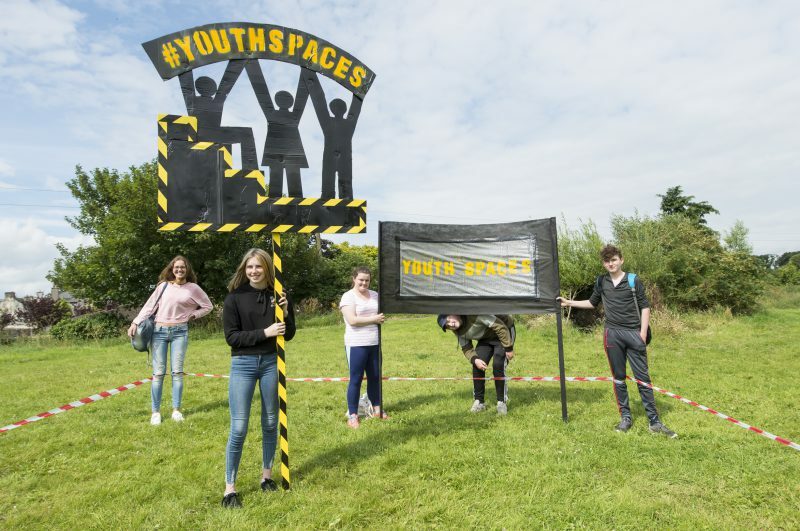 Working with Callan Foróige Youth Group the designers and participants focused on the experience of young people and their sense of place and belonging within public space a rural town. 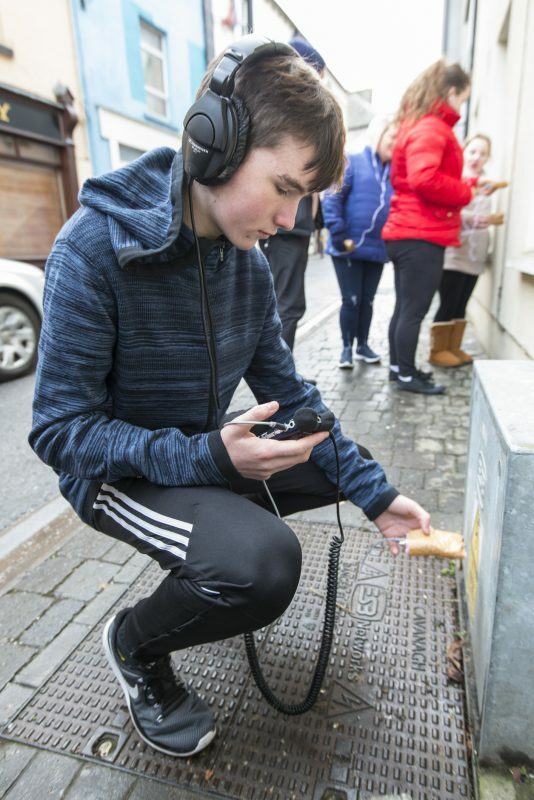 Outcomes of the Public Sound workshops included a walking tour of Callan as part of the Abhainn Rí Festival highlighting the potential for new outdoor youth space/ facilities in the town and a series of hand made instruments. 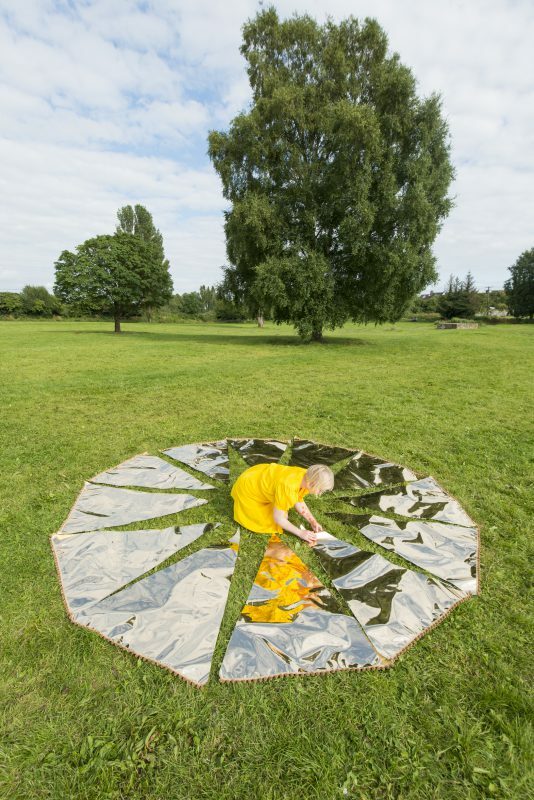 Park Life, Dan Dorocic, Jennie Moran: Dan Dorocic undertook a three-month residency in Callan supported through the Collaborative Arts Partnership Progamme / CREATE residency strand. 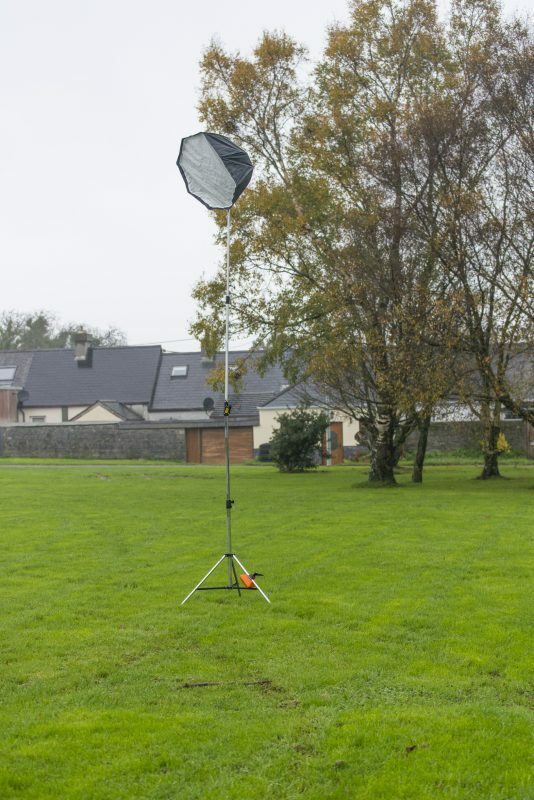 His research focused on his on-going work with Berlin design collective On/Off into ‘Co-machines: Mobile Disruptive Architecture’ by looking into examples of temporary public architecture interventions in Callan over the past seven years. 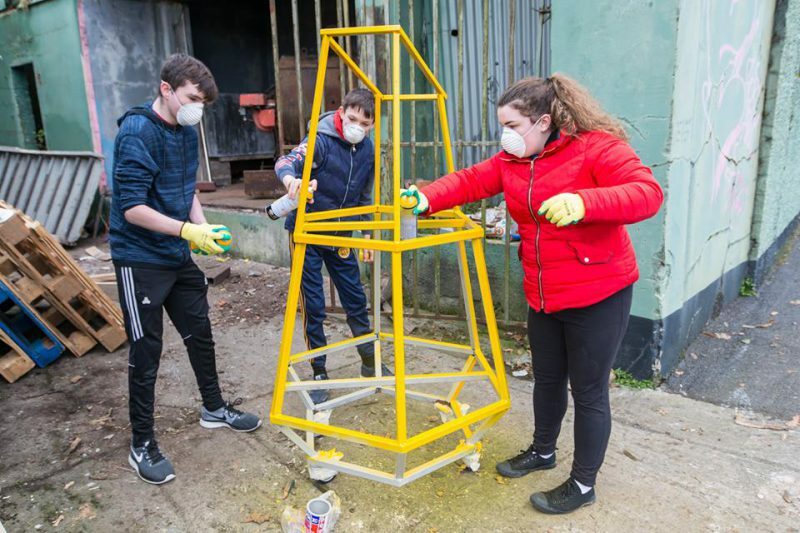 Dan led a a 1:1 design workshop with Workhouse Union as part of Park Life, a public engagement process on the future development of a neighbourhood park in Ferrybank. 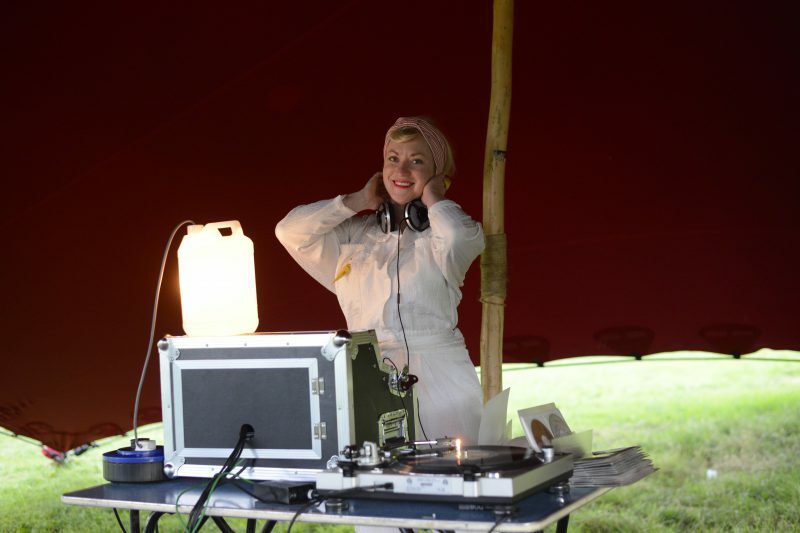 Visual artist Jennie Moran hosted a gathering in the Abbey Meadow, Picnic at the Meadow included golden mats and music. 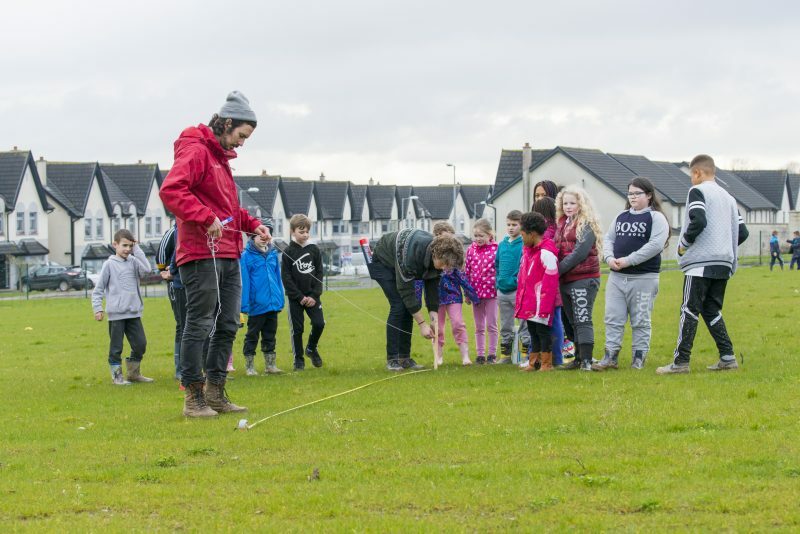 This event took place during the Abhainn Rí Festival as part of the Inhabitants programme. 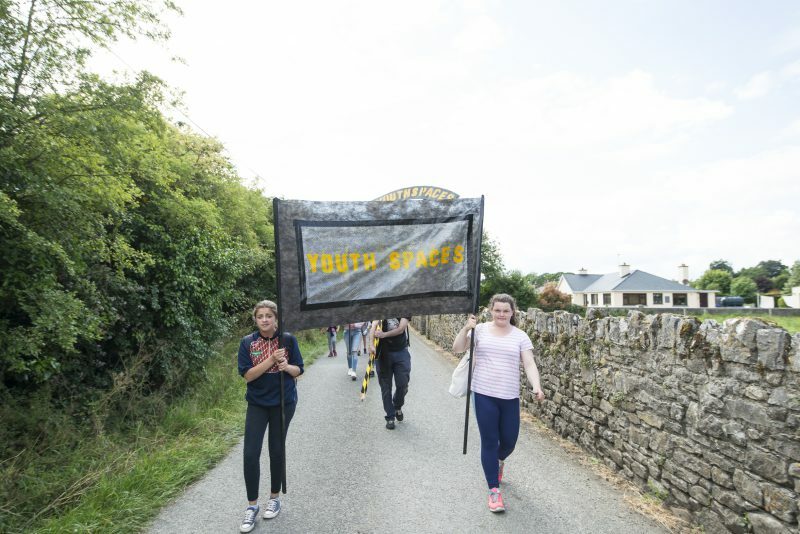 Talks: Workhouse Union invited a number of active European public art producers to Callan to share their perspectives and experiences in facilitating engagement through art and architecture within urban and rural neighbourhoods. 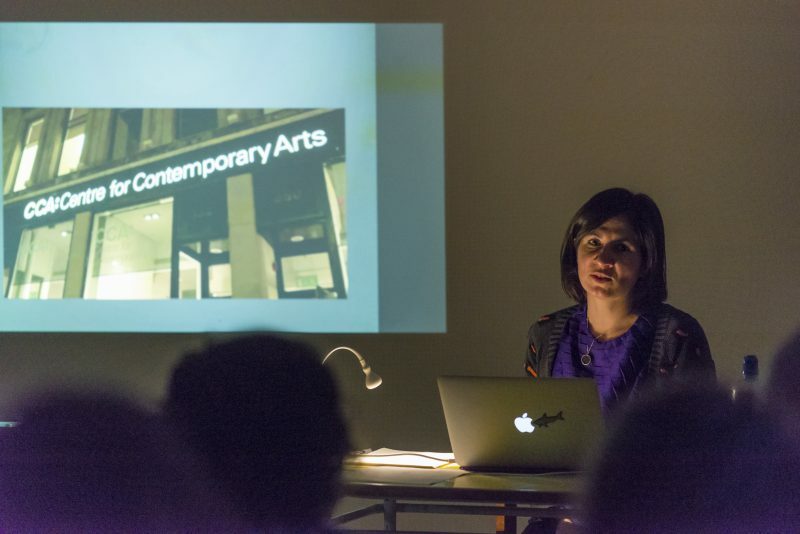 Viviana Checchia, public engagement curator with CCA Glasgow and Anna Bitkina and Maria Veits (The Creative Association of Curators TOK) from St. Petersburg gave public talks as part of the project.